Quiet Warriors | The single most powerful and capable mobile weapons platform that will never be seen. Until it is already in use. The single most powerful and capable mobile weapons platform that will never be seen. Until it is already in use. 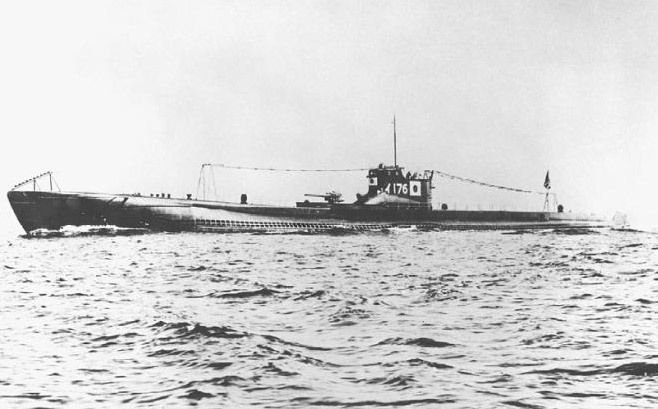 Japan’s Sen-Toku I-400 submarine was regarded as such a technological marvel that it was scuttled by U.S. forces after the Second World War to keep it away from the Russians. Shown here is the I-401 sister ship. On November 10th 1942, I-15, a B1 type submarine, while recharging batteries, is spotted by the U.S. minesweeper (converted destroyer) USS Southard (DMS-10). I-176, a KD7 type Kaidai class submarine. The three suspected attackers were all of this type. By the beginning of 1945, the Japanese submarine force, like the rest of the Imperial Navy, had fallen into a shambles. Submarine policy had not been effectively focused since the outset of the war; therefore, nothing could be saved near the end. The Japanese submarine force made prewar training as realistic as possible, but the realities of the war increasingly surpassed the capacity of the force to adapt. The mindset and command structure in the imperial navy prevented complete identification of the problems that plagued the submarine force. Moreover, rapidly changing circumstances of the war, in which the powerful U.S. Navy was the pacesetter, inhibited the implementation of fresh and crucial alternatives. Thus the Japanese were prisoners of their past, and the legacy of prewar thinking offered only a grim fate for the Japanese submarine force after 1941. Japanese submarine operations were frequently widely scattered. When they were concentrated to take part in major Combined Fleet operations early in the war—at Pearl Harbor and Midway, for example—submarines failed to live up to the expectations of Japanese operation planners. Submarine effectiveness against U.S. warships during the Guadalcanal campaign, particularly in September 1942, was quite distinguished. Yet submarines did not inflict enough damage to force a U.S. withdrawal from Guadalcanal; nor were the Japanese air and surface naval forces capable of accomplishing the high command’s goal. Immediately after the Pearl Harbor attack, the Japanese navy should have concentrated all oceangoing and fleet-type submarines in Hawaiian waters and off the U.S. mainland. Operations like those of I–25 in October 1942, including actions more aggressive than the incendiary bombing of Oregon forests, ought to have been emphasized. The large submarines ought to have been rotated systematically, and these two war patrol areas (Hawaii and the U.S. west coast) should have been maintained at least through 1942. That is, one-third of the available submarines should have been on station, one-third en route, and one-third undergoing refitting. Only Japanese submarines could chance operations around the Hawaiian Islands and eastward after December 7, 1941. While manning these two patrol areas, the submarines could have obstructed quite effectively the flow of U.S. reinforcements being rushed westward, and at least in the early part of 1942 they would have been ideally situated to attack U.S. warships en route to the U.S. mainland for permanent repairs after damage during the Pearl Harbor attack. As a corollary to submarine operations on the Hawaiian and California coasts, I–25-like operations should have included a large tanker I-boat for refueling in order to continue I-boat-aircraft operations in the Panama Canal area. Bombing the canal locks would have been the goal, and even if there were no hits on the vital waterway, such an attack would have alarmed the American public. Thus the U.S. Congress would have voted more enormous defense expenditures, funds that would not have been available for the U.S. buildup in the South Pacific in 1942. After the Pearl Harbor attack, Japanese air and surface naval forces should have focused exclusively on the southern and westward areas of expansion without demanding the heavy involvement of the submarine fleet. The major enemy capital ships in those areas, HMS Prince of Wales and Repulse, for example, were sunk by air power in early December 1941. Other available British battleships of the Eastern Fleet were the four old World War I R-class slow battleships and faster Warspite. These capital ships, with the much newer fleet aircraft carriers HMS Indomitable and Formidable, were incapable of effective opposition to Japanese expansion. And surely the Japanese air and surface naval forces could have overwhelmed the ABDA (American, British, Dutch, and Australian) cruisers and lesser warships without the, as it turned out, modest aid of the submarine force. At a minimum, the medium-range RO-class submarines could have served as an arm of Combined Fleet operations in southern and westward expansion during the first thirteen months of the war. As it turned out, Japan’s submarine force never had a chance to prove itself as a strategic arm because it was always subordinated to local needs and tactical situations. FURTHER READINGS Boyd, Carl. “American Naval Intelligence of Japanese Submarine Operations Early in the Pacific War,” Journal of Military History, 53 (April 1989). Boyd, Carl, and Akihiko Yoshida. The Japanese Submarine Force and World War II (1995). Carpenter, Dorr, and Norman Polmar. Submarines of the Imperial Japanese Navy (1986). Fukaya, Hajime. “Three Japanese Submarine Developments,” Proceedings, U.S. Naval Institute (August 1952 ). Goldingham, C.S. “Japanese Submarines in the Second World War,” Journal of the Royal United Service Institution (February 1951). Hirama, Yoichi. “Sensuikan sensenka zoshin ni kansuru ikensho” (A paper on the effective use of submarines), Gunji shigaku (Journal of military history) (December 1993 ). Holmes, W.J. Undersea Victory: The Influence of Submarine Operations on the War in the Pacific (1966). Japan. Boeicho Boeikenshujo Senshibu (Defense Ministry, Defense Research Institute, War History Branch), ed. Sensuikan shi (History of submarines). Senshi Sosho (War history series), vol. 98 (1979). Lind, L.J. Toku-tai: Japanese Submarine Operations in Australian Waters (1992). Torisu, Kennosuke. Kaiten (Human torpedo) (1981). Torisu, Kennosuke, and Masataka Chihaya. “Japanese Submarine Tactics,” Proceedings, U.S. Naval Institute (February 1969). Webber, Bert. Retaliation: Japanese Attacks and Allied Countermeasures on the Pacific Coast in World War II (1975). Taiwan’s Replacement Submarine Hopes. US won’t help. 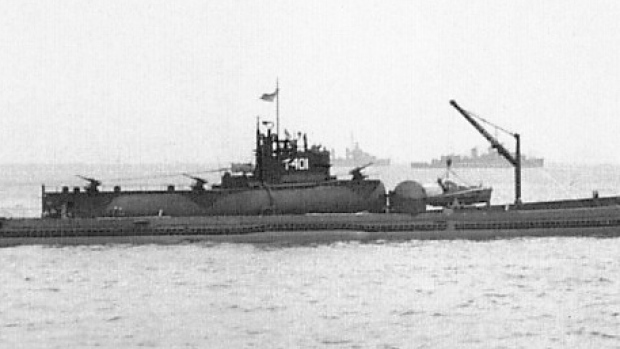 Two of Taiwan’s four submarines were launched during WWII. Both are theoretically operational, but only safe for training – and probably only safe in a shallow harbour. One is Hai Shih (ex US Tench class that was GUPPY converted). The other is Hai Bao/Pao (SS-792) (ex US Balao class also GUPPY converted) (pictured above). Submarine Matters’ article Netherlands Needs New Submarines Quickly has led to many comments below that article regarding Taiwan’s needs. This is because the Netherlands supplied Taiwan with Taiwan’s most recent two subs. These were of the Hai Lung class (pictured above) supplied to Taiwan and commissioned into the Taiwanese Navy way back in 1987-88. Taiwan has sought newer submarines for decades. This has been complicated by Taiwan’s reliance on the US – which does not build suitable conventional submarines (SSKs). US backing is needed in the face of China’s ability to prevent any actual conventional submarine builder from helping Taiwan. Conventional submarine builders Germany, France, Spain, Japan and Sweden have been placed under Chinese political and economic pressure not to sell subs to Taiwan, not to help Taiwan build subs or even sell submarine components to Taiwan. The US would not allow Taiwan to buy Russian SSKs. Middle countries that have built subs under licence, like India, Australia and South Korea, have also been warned by China not to sell to Taiwan. Chinese force aside China is a much larger and attractive a market for all products for all countries than Taiwan is. So there are many positive reasons why, for example, Germany will sell submarine engines to China and Sweden will sell AIP systems to China instead of Taiwan. Taiwan’s old anti-communist credentials are no longer considered important enough to gain sufficient cooperation from the US. This is a further complex situation where around one million Taiwanese happily trade with China or live in China. The US is also happily trading with communist Vietnam. China also underwrites or owns much of the US economy. Some Taiwanese see a submarine project brokered by the US as a way to restore US political, military and economic support – in another sense restoring US recognition of Taiwan’s right to exist. The US especially, under the moderate Democrat Obama, is not anti-Chinese or anti-Communist enough to damage relations with China to the degree some in Taiwanese want. Taiwan may have to wait for another Republican hawk like George W. Bush (Jr) to enter office before the US might help. As the US 2016 election runup stands Hilary Clinton won’t change Taiwan’s sub situation and even if Republican Trump were elected, his personal business interests may well preference China over Taiwan. Are there any election eligible US Republican anti-Communists with a Presidential chance? An additional problem is some Taiwanese want the US to broker a submarine deal in order that the US buys the subs first – in order that the US “sells’ the subs to Taiwan for a highly US subsidized low price. Another disincentive for the US is that the US Navy and submarine industry do not want to have any financial or project dealing with SSKs. For the US Navy this is because SSKs unit for unit are less capable than the US SSNs. For US industry the price/profit per SSN is much higher than for an SSK. China’s growing ASW capabilities, including China’s undersea sensors and growing submarine numbers mean Taiwan will need ever more expensive, larger, more capable SSKs. If Taiwan replaced its 4 sub fleet one for one it may well need subs that are SSNs to constitute any kind of deterrent against China’s rapidly growing SSN and SSK fleet. The US won’t give/sell SSNs to Taiwan. It is more reasonable that the US quietly assures Taiwan that US SSNs will defend Taiwan – to a reasonable extent. Over the years Defense Industry Daily (DID) has compiled a longer and more detailed account of Taiwan’s fruitless replacement submarine efforts – particularly Taiwan’s Force Modernization: The American Side, July 21, 2015. Taiwan’s submarine problems are best seen from a combined arms perspective including consideration of surface ships, naval airpower and land-based anti-shipping and anti-submarine missiles – particularly in the Taiwan Strait. DID notes: [The Taiwanese] are even reportedly considering building their own boats from foreign designs. Australia’s experience suggests that this course may be fraught with peril, and Taiwan has a number of technology gaps to address: ship design technology, torpedoes, sonar, propulsion systems, combat systems, and submarine periscope lenses [to which could be added submarine steel]. Meanwhile http://thediplomat.com/2015/05/taiwans-submarine-saga/ puts up a range of “US will do it” options that are not in America’s economic, political or strategic interests to do. http://sputniknews.com/military/20150722/1024934686.html of July 22, 2015 describes how China is rapidly building its ASW strength – rendering Taiwan’s replacement submarine efforts largely irrelevant. Please connect with Submarine Matters Taiwan’s Aging Submarine Force Limited by Mainland China of February 5, 2014 – you will notice little has changed. So unless the US builds around 8 large SSKs in the US under a new Republican President, after 2016, Taiwan is likely to wait forever for an effective submarine force. Does Thailand Need Submarines At All? Thailand’s surrounding sea depths (see map above) severely limit operations for any future Thai submarine service. The lightest blue (almost white) for the seas/oceans on the map indicate sea depths of less than 200 meters around Thailand’s whole coastline. This is for Thailand’s west coast (Andaman Sea) and especially east coast (Gulf of Thailand – out to hundreds of kilometers). (Map courtesy US National Oceanic and Atmospheric Administration (NOAA)). Perhaps Thailand should be considering submarines of 500 tons or less. Mini-submarines are harder to see in shallow water and are several hundred $million cheaper for three. Perhaps South Korea’s 200 ton Dolgorae class or even North Korea’s 300 ton Sang O class? Thailand’s major strategic issues are on land. Thailand’s politico-military power is well served by non-aligned neutrality, overall good relations with its immediate Southeast Asian neigbours (Malaysia, Myanmar, Laos) tense but manageable relations with Cambodia. Indonesia is a middle power with no tensions with Thailand(?) Australia is no threat. China and India are the great regional powers. Thailand’s debate “Do we need submarines” has continued for decades. So why does Thailand want submarines? To protect fisheries? Anti-drug smugglers? To intercept refugee boats? For intelligence gathering? To satisfy an ally who demands or expects submarine activities? To detect and intercept fishing boats, drug smuggling boats and refugee boats best requires patrol boats. Patrol boats do not need to look through a periscope or hide. Patrol boats operate by having constant radio contact, radar and visual sight. Satellite links help. Thailand’s patrol boats and larger ships deter by being seen. The Thai Navy is big enough to handle navies of its immediate neigbours. Is India a threat? Or is the possibility of future unimagined threats sufficient to justify a submarine purchase? Is China the main threat? If so buying submarines off China builds military bilateral relations – cash for good relations. China is probably no longer prepared to provide soft loans or write off debt-costs. With slower Chinese growth and China’s 2015 financial/stockmarket shocks China is probably expecting hard currecy payment for the three submarines. Has that demand hindered the Thai-China submarine deal? China has already excessively reduced the price per submarine (now US$333 million with training + spares included). The standard international price for a submarine is around US$500 million and then AIP costs extra. Training and spares over several years is often another $500 million per sub. Additional reasons to have submarines are to keep up with the neighbours in a regional submarine race – for political and strategic power, deterrence and prestige. Looking internally into Thailand it needs to be asked “Has 2014’s political crisis given the Army power that makes the Navy jealous? Thailand may eventually purchase two submarines, March 25, 2015. The U.S. Navy wants to upgrade its ability to detect Russian submarines in response to assertive naval moves by President Vladimir Putin. The Navy is seeking to deploy a sophisticated surveillance device made by Lockheed Martin Corp. in the Atlantic Ocean. The device, towed by a ship, already is in use in the Pacific. As soon as mid-2016, the service also wants to send to the Atlantic a prototype networked “undersea sensor system” that “addresses emergent real-world threats,” according to a Defense Department budget document. Both systems are intended to meet “an urgent requirement” sought by U.S. combatant commanders responsible for Europe and homeland defense, the Navy said in a June budget document requesting a shift of $56.5 million to start the projects. The Navy’s requests were submitted to Congress three months after Russia’s top admiral boasted of increased submarine patrols and a month before Russia unveiled a new, more expansive maritime strategy. The unclassified requests, still pending before Congress, provide a glimpse into mostly classified programs. They are the Navy’s equivalent of the Army’s well-publicized increase of troop rotations, exercises and equipment repositioning in the Baltics and other locations to reassure European allies. That move was initiated last year after Russia invaded and annexed Crimea and increased military support of Ukrainian separatists. Lieutenant Rob Myers, a Navy spokesman, said in a telephone interview that “long-term intelligence data and time-critical contact reports” of submarines “are vital for maintaining a clear operational picture.” He declined to comment on whether Russia is the target for increased Atlantic surveillance. Greenland and Iceland to the U.K. where Soviet submarines transited during the Cold War, Bryan Clark, a naval analyst for the nonpartisan Center for Strategic and Budgetary Assessments, said in an e-mail. Clark is a retired Navy commander who served on nuclear submarines and as a strategy adviser to the chief of naval operations. The Navy proposals are evidence that “the U.S. military views Russian submarine activity in the Atlantic as both an immediate risk and an emerging long-term threat,” said Tom Spahn, a Navy reservist who writes on undersea warfare issues. The projects may be part of a strategy “to replace or upgrade our aging” undersea sensor system of hydrophones — underwater microphones — “made famous during the Cold War, which again points to Russia as the target,” Spahn said. Data on Russian submarines probably would be distributed to Navy vessels such as the new Littoral Combat Ship equipped with an antisubmarine warfare module, as well as frigates and surveillance aircraft, including the P-3 Orion and P-8 Poseidon. The USNS Impeccable, which was confronted by Chinese government ships in 2009, is an ocean surveillance ship that uses the TL-29, he said. The TL-29 and the new underwater network “use different techniques to acoustically detect submarines,” Clark said. Russia unveiled a new maritime strategy last month that places greater emphasis on Atlantic operations. The North Atlantic Treaty Organization “has been developing actively of late and coming closer to our borders, and Russia is of course responding to these developments,” Deputy Prime Minister Dmitry Rogozin said at the unveiling. “They’ve just begun production of a new class of quiet nuclear submarines specifically designed to deliver cruise missiles,” Jacoby said. Russia is building three new classes of submarines, including the Borey nuclear ballistic missile model, three of which are operational, according to a Navy analyst who asked not to be identified to discuss operational developments. The first in a planned Yassen class of general-purpose nuclear submarines, as well as the first of a new Kilo-class diesel-electric boat also have been fielded, the analyst said. Russian Navy chief Admiral Viktor Chirkov said in March that “the intensity of” its submarine patrols “has risen by almost 50 percent” from January 2014 to March 2015, compared with all of 2013. The Navy analyst said Chirkov’s assertion was credible even though there’s no indication over the last six months that Russia has stepped up submarine patrols in the Atlantic, Baltic Sea or Mediterranean. No, the U.S. Navy is probably not using a multi-billion dollar submarine to listen in on your phone calls and emails on behalf of the National Security Agency. A long line of secretive Navy spy submarines, most recently a nuclear-powered behemoth named USS Jimmy Carter, have for decades infiltrated remote waters to gather intelligence on rival states’ militaries, insurgents, and terrorists on behalf of the NSA and other agencies using a range of sophisticated devices, including special equipment for tapping undersea communications cables. Before NSA whistleblower Edward Snowden revealed the agency’s phone and internet monitoring programs targeting U.S. and European citizens, the mainstream press paid little attention to the elusive, subsurface warship. But following Snowden’s disclosures in 2013, several publications including The Huffington Post and the German Der Spiegel speculated that the Jimmy Carter was aiding the NSA’s surveillance of citizens’ communications in the U.S. and Europe. The modified Seawolf-class sub, built by General Dynamics Electric Boat in Connecticut between 1998 and 2004, is almost certainly able to tap the undersea communication cables that carry much of the world’s phone and internet traffic. But just because the warship can tap cables doesn’t mean it routinely does. At the Navy’s request, Electric Boat inserted an extension in the middle of Jimmy Carter’s hull that added 100 feet to its standard 350-foot length — plus nearly $1 billion to the baseline $2 billion price tag. Commander Christy Hagen, a Navy spokesperson, declined to comment on the warship’s modifications. But Owen Cote, a submarine expert at the Massachusetts Institute of Technology, said Jimmy Carter’s hull extension most likely contains a “moon well” — a floodable chamber to allow divers, robots, and machinery to move between the sub’s interior and the water, retrieving objects off the seafloor or carrying monitoring devices and other surveillance equipment. It’s far easier for the NSA to monitor Americans’ communications on land, Cote pointed out in an interview, with the consent of phone and internet providers. But it wasn’t long ago that Jimmy Carter’s predecessor subs were involved in undersea eavesdropping — against America’s Cold War rivals. That espionage took place during a technologically simpler time, when Washington had fewer ways of listening in on communications. “Fifty, 60 years ago, this was best method of collecting certain intelligence,” Polmar says of eavesdropping submarines. Before Jimmy Carter, there were the modified submarines Halibut, Seawolf, and Parche, fitted with special equipment for monitoring and accessing objects on the seafloor, including communications cables. Parche, the last of the old breed, was decommissioned in 2004, just as Jimmy Carter was nearing completion. The subs’ secret missions, the subjects of repeated investigations by high-profile reporters including Seymour Hersh in The New York Times, were practically the stuff of fiction. In 1968, the Pentagon deployed Halibut to the Pacific to search for the wreckage of a sunken Soviet submarine that would later be partially recovered by a CIA team aboard a purpose-built salvage ship. Trailing a four-mile long cable rigged with cameras, Halibut found the Soviet vessel in 16,000 feet of water after just three weeks. In the 1970s, Seawolf and Parche took risky missions penetrating the Soviet navy’s main North Atlantic bastions to tap military communication cables. The two subs sailed under the Arctic at speeds of just a few miles per hour to avoid icebergs, dodging Soviet vessels and excitable seals and walruses that might betray the U.S. ships’ locations. The special subs placed on the cables clamp-like devices that recorded passing signals, giving Washington valuable insight into Soviet naval activities. In 1980, a former NSA employee named Ronald Pelton betrayed the subs’ operations to the Soviets in exchange for around $35,000. Pelton was arrested in 1986, tried and convicted. He remains in federal prison. The Soviets’ discovery of the undersea wiretap alerted America’s rivals, making such missions much more difficult. “People are now aware that that’s a technological capability that we have — and that puts them on guard,” Polmar says. The disclosure, and new technology advances, has led to an apparent shift in the spy subs’ tactics. When North Korea shelled a South Korean island base in 2010, Jimmy Carter reportedly surfaced nearby and launched a small, quiet drone spy plane to photograph the damage. Since then Jimmy Carter has undoubtedly stayed busy performing other surveillance missions and, in 2013, entered a roughly yearlong period of maintenance at a shipyard in Washington State. Now that the submarine has returned to the fleet, it will surely resume its secret duties as America’s main underwater spy. But the special sub probably won’t be listening in on your phone and internet conversations. Too dangerous against military rivals and unnecessary for domestic surveillance, submarine wiretaps seem to have fallen out of favor. You’re still being spied on — just not by a submarine. Exactly what Jimmy Carter is doing is hard to say.